Ask a Briton which national institution they are most proud of and chances are they’ll say the National Health Service. Remember the weird spectacle of patients in pyjamas bouncing up and down on beds during the London 2012 Olympic Games opening ceremony? That’s how important the NHS is to the Brits. The fact that the NHS is free and universal takes one big worry away from British people’s lives. And it’s remarkably cheap: Britain spends only a slightly higher proportion of its GDP looking after the health of all its citizens than the United States does on Medicare and Medicaid alone. But in the past week a former health minister announced that the NHS is on the brink of collapse — waiting lists are getting longer and many hospitals are falling into debt. The Welsh Labour politician who was minister for health in the post-war government had a vision: healthcare should be free for all, rich and poor. In 1948, his vision was realized. Never again would a British citizen be afraid of getting sick and not being able to afford treatment. But in order to set up the health service, Bevan had to take on the doctors. Strong words for a country just emerging from World War II. To pacify the doctors, Bevan allowed consultants to retain their private practices and GPs to run their surgeries as private businesses. He bought their backing, as he put it himself, by “stuffing their mouths with gold.” It’s a habit that hasn’t changed. 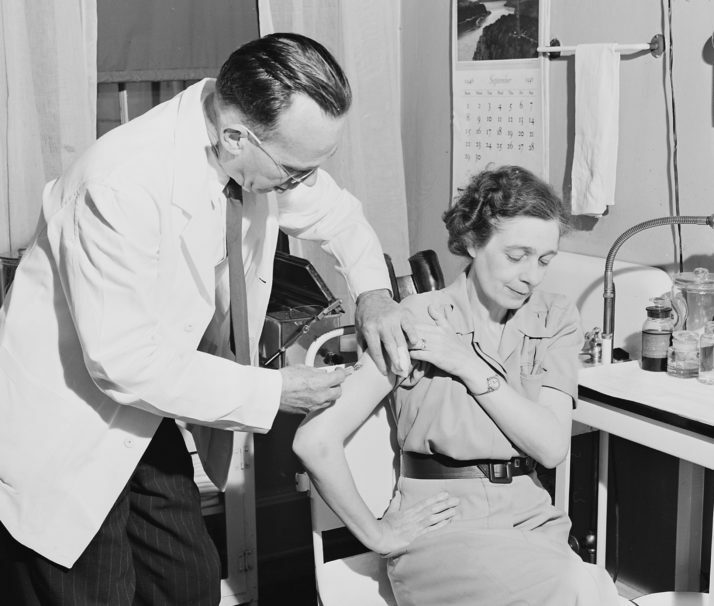 From 1948 until the mid-1980s, the NHS was barely seen as a political issue. Under governments of both major parties, it just trundled along, with all its faults. Indeed, the Labour minister for health in the 1960s, Richard Crossman, had so little to do that he persuaded then Prime Minister Harold Wilson to give him social security – the welfare system – to manage as well. By the 1980s, under Margaret Thatcher, waiting times in the NHS became so long that Labour started to make political capital out of it. Thatcher confirmed the public suspicion that the Tories didn’t care about the NHS by choosing to be treated privately. When she was challenged about this, she said she took out insurance “to enable me to go into hospital on the day I want, at the time I want, and with a doctor I want.” That’s all very well, thought many voters, but what about the vast majority of people who cannot afford private health care? When Labour finally returned to power, in 1997, the NHS was widely seen as run down and in desperate need of attention and investment. Although voters still loved it in principle, they were frustrated by how badly it worked. The man put in charge of the NHS, Frank Dobson, had very little to offer. He reversed one of the Tories’ good initiatives, GP fundholding, which gave family doctors greater control over their budgets — a move that Tony Blair later described as one of the biggest errors on his watch. Dobson’s instinct was not to reform the way the NHS worked, but to side with the powerful trade unions rather than the patients. And the unions – from the consultants at the top to the hospital porters at the bottom – have always shown an extraordinary resistance to change. The British Medical Association was adamantly opposed to the NHS from the start and has kept up its antipathy to reform ever since. If a minister suggests any form of modernization, even one that gives doctors more power, you can guarantee that the BMA will be against it. The BMA is both a trade union and a professional association, which is an uncomfortable combination, and it represents the most powerful staff group in the NHS. As family doctors and consultants are the most trusted professionals in the country – beating teachers, scientists and even priests – successive health ministers have found their lobbying extremely hard to overcome. The Royal College of Nursing is another professional body that acts like a trade union – its website cites “representing nurses and nursing” as its chief task. While some nurses are caring and compassionate, many of the recent scandals in the NHS have exposed callous neglect of patients. The RCN was determined that the nursing profession become graduate-entry only – excluding candidates who might have had the warmth and enthusiasm to excel as junior nurses, unafraid to empty bedpans, and also preventing care workers from climbing the ladder to become nurses. Back in the Blair era, someone had the bright idea that the entire NHS should use the same computer system, so that patient records could be shared. So began one of the most wasteful sagas in British government history. It was delayed and delayed and delayed, and was never rolled out nationally. By the time the Conservative/Liberal Democrat coalition came to power in 2010, ministers decided that it would be more cost-effective to cancel the project than to continue. The cost of this procurement failure came to over £10 billion, £2 billion more than the current Conservative government agreed to boost investment in the NHS by over the course of an entire parliament. Richard Bacon, a member of the House of Commons Public Accounts Committee, described it as “one of the worst and most expensive contracting fiascos in the history of the public sector.” Just think what £10 billion could have achieved had it been spent on patient care. When Reid was made minister for health by Tony Blair in 2003, he was reported by satirical magazine Private Eye to have responded, “Oh f***, not health!” He was at least a reformer, and he improved waiting times by allowing private providers to open treatment centers for knee, hip and eye operations, all still free at the point of use to patients. But he continued the Bevan tradition of stuffing doctors’ mouths with gold. He drew up a contract for GPs that offered them a 22 percent pay rise while allowing them to opt out of evening and weekend work. They couldn’t believe their luck. The former head of NHS England, for eight years, was also chief executive of the Strategic Health Authority responsible for the scandal-hit Mid Staffordshire Hospital, in which some 1,200 people died needlessly because of failings of care. Nicholson later said he “bitterly regretted” not listening to the concerns of the patients’ relatives. Nicholson was an effective chief executive for NHS England. But he was also accused of being a bully, and of fostering a macho, confrontational, top-down culture in senior managers. When he was health minister under Blair, Burnham implemented all sorts of market-based reforms to bring competition into the NHS and put pressure on hospitals to improve their performance. As soon as Labour lost power, he started opposing any private-sector involvement in treating NHS patients – calling it ‘privatization’, even though it was nothing of the sort. It was a shameless bid to appeal to Labour activists in the leadership election that he knew would follow Ed Miliband’s defeat in the May 2015 election — and it didn’t work as he lost the leadership race to Jeremy Corbyn. 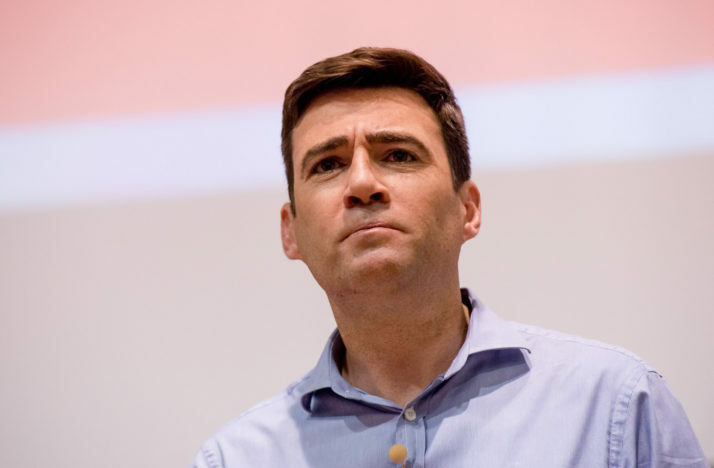 As health minister, Burnham ignored dozens of requests for an inquiry into the Mid Staffs scandal. Six months before he won power in 2010, the then leader of the opposition gave a speech to the Royal College of Pathologists in which he promised: “With the Conservatives there will be no more of the tiresome, meddlesome, top-down restructures that have dominated the last decade of the NHS.” So imagine everyone’s surprise when, within a year, his health minister was proposing another tiresome, meddlesome, top-down restructuring of the NHS. That meddlesome minister was Lansley. Cameron’s former boss in the Conservative Research Department seemed determined to dismantle several tiers of commissioning and supervision and replace them with other layers – often manned by the same people. It was a stupid, unnecessary distraction, at a time when the NHS needed to concentrate on how to cope with rising demand and stagnant budgets. Cameron called for a pause before the bill became law so that he could examine it more closely and make sure it was a good idea. It wasn’t, but he allowed it to go ahead anyway. Later, senior Conservatives said it was their biggest mistake in government. This entry was posted on Friday, October 2nd, 2015 at 3:33 pm	and is filed under Uncategorized. You can follow any responses to this entry through the RSS 2.0 feed.